The word “liebster” (originating in German) has several definitions: dearest, sweetest, kindest, nicest, beloved, lovely, kind, pleasant, valued. In the current context, this award recognizes bloggers who share their story or thoughts in a beautiful manner to connect with their viewers and followers. 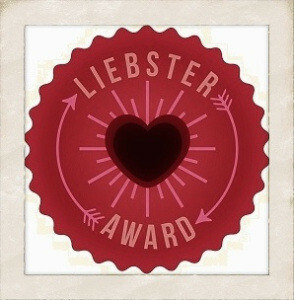 The rules for the Liebster Award have changed over time and I’m approaching them with some flexibility. Nominate 11 bloggers you feel deserve this award and who have less than 200 followers. After eleven years I seem to have finally acclimated to Israel. I am in the process of cataloguing all of my English books on index cards. I am allergic to acrylic clothing. I hate first-person shooter video games. I have knitted for myself cotton socks in safety orange. I still do not understand my dog. Never had any trouble understanding animals, just her. My youngest son is humongous. I miss living with goats. My hair is going white. My life is the best it has ever been, and it keeps getting better. If you could spend one week attending any special events (music/sports/ballet/show dogs/anything) what is your itinerary? Can I join the iditarod? It is longer than one week, though..
What is your favorite word? I don’t know that I have one. What is the weirdest scar you have and how did you get it? On my left foot, I was burned by molten lead in high school. What is a question that you’d be afraid to answer truthfully? The only question I can think of is one I am not going to write here. Otherwise, not afraid of questions. The instructions say to nominate eleven people, but I just don’t seem to be any good at that. It takes more brain/time/energy than I can manage. It seems unfair, like I shouldn’t participate if I’m not willing to pass it on. But I am taking a leap of faith and doing this regardless. Please don’t hate me. Do you have a favourite book? if so, what is it? What sort of extreme weather are you most afraid of? Assuming it was possible, what other planet would you like to visit? Who would you most dislike your son or daughter to bring home as a prospective partner? Walking on the beach, sandals or closed shoes? If you could learn any foreign language fluently (with no effort, and assuming it is one you don’t already know) what would it be? Name a person who has been an inspiration to you. What quote would you like to share with everyone?